Very pleased with our service and our technician. Kwinslette. Pauline is great. Always upbeat and helpful. Does what they say they will do and promptly follows up with any requests I may have had. Great service from caring people. Christy is awesome! She does a great job & is always professional.. they’re very responsive & reliable. their customer service is excellent. We would highly recommend this company without reservation. Still have issues with ants and cobwebs, etc. But our technician is always willing to address the issues. I particularly like the mosquito treatment.Danny, my service guy is very good and understanding of our needs. Great service to our home, very informative. Appreciate the quick response time! The service itself is really good, friendly and efficient technicians. for all accounts at the same time. phone calls and emails saying there was a problem, like it is our problem or our card that has the issue. Would love to have these calls to stop, and for the billing office to correct their issues. Great guy that services our home! Very courteous and informative. Thank you. Fast pest control, friendly and helpful staff. DK Property Management is very pleased with the service we receive from Active Pest Control. Always there when needed and we are also saving money! I have been very please with Active monthly service for all three of my hotel's. Active is very accommodating in all my needs regarding re-treatment. Everyone at the Rome, Ga office is very professional....Thank you. I was writing a review when I lost it. Think it was submitted but I as not ready. This company does a great job. Always trustworthy and reliable helping control pests around our house and yard. Their staff member, Billy, always calls a day in advance, and shows up on time. Great response time in trouble shooting pest issues. Active is always prompt. They let us know a day ahead when they are coming for our monthly treatment. Our technician is always friendly and courteous. 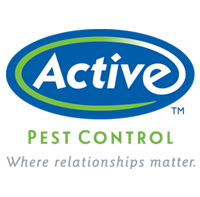 Active Pest Control is a great company to work with. They go out of their way to make you happy, offering to do whatever is needed to get the job done. The staff of Active Pest Control are professional, friendly and most gracious. They provide a great service. I would recommend them to anyone. Kind, honest, reliable and affordable service. We are very pleased with Active Pest Control. Very easy to work with. Active has been great. We have the VIP service and anytime we notice an issue, they are quick to come to our home to investigate. This company is professional and all the field people know what they are doing and do it well and fast. They come any time there is a residual problem and work hard to remedy the problem. I am very satisfied with the service and the ones who administer it. When setting up for a technician to come, the representative I had was very helpful. Robert was very professional and left no trace behind. Staci was great! Friendly and knowledgeable (thus a 5). I'm only rating the service a 3 because I haven't received it. I can update the score once that occurs. He only came 2 days ago for the consultation, and I don't have an invoice yet (thus, rating of 3). Punctual and explained what he was going to do. Got the job done quickly. Always professional. Always willing to work with us to arrange a day to perform. Always very nice. Thanks for the service. Very nice and professional. She also made the time to spray inside of my home at my request b/c only the outside was scheduled and I really appreciate that she made the time. Always timely! Easy to work with very friendly. The clearance letter is easy to read and understand. Would strongly recommend !!!!! Love working with Pauline. She is always professional, helpful, knowledgeable and friendly. Pauline takes the time to explain things and offers little hints about ways I can help in keeping my house free of nasty little critters. I would not suggest Active Pest Control for any kind of wild life removal. I paid them several hundred dollars to get rid of my squirrel issue only have to have them return a couple of months later. I have called 4 times over the last 2 weeks and can't get a call back. Unfortunately, I have done business with them for several years, but will be taking my business elsewhere due to their lack of professionalism. Friendly and efficient technician. Arrived on time. Answered all my questions. Hard to review. His report says he was here 10 minutes It could have been less. Don't think he could have found all the stations within that time Report said I was not available. I was here. Danny was extremely nice and did everything that I had been explained would be done the day before when I called to check prices on getting our house serviced. I did not catch the guys name whom I spoke with on the phone but he was so helpful and knew his bugs! He explained what active pest control could do for me in a very professional educated mannor.